Since opening in the summer of 2001, Orchid Veterinary Surgery has cared for thousands of domestic pets; cats, dogs, rabbits, rodents, reptiles, aquatics, amphibians, birds, insects, invertebrates, primates and anything else else are welcome here. 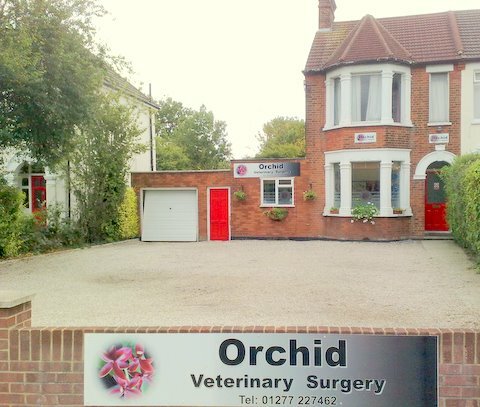 Located just off of Brentwood High Street, Orchid Veterinary Surgery is easy to find. We also have our own private car park to the front of the surgery for our clients convenience. Here at Orchid we are delighted to have a full time Vet, assisted by not one, but three, Veterinary Nurses. We are a fully equipped general practice, our facilities; an e-ray room, laboratory, ultrasound and operating theatre. Orchid Veterinary Surgery is also proud to work with many local charities including cat rescue centre Pussycat Lodge, the Cats Protection League and Woodgreen Animal Shelter.